If you’d like a healthy treat to share at gatherings or just to enjoy yourself, these little bars are a nutritious and tasty delight. 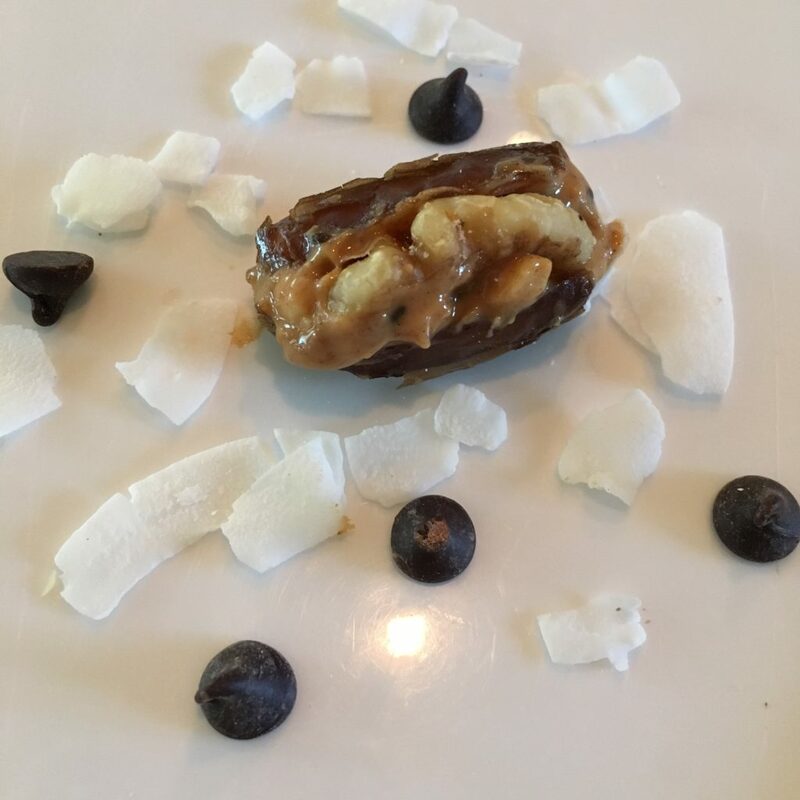 Just slice a deglet noor date and add a little crunchy salted almond butter or peanut butter and a whole almond, pecan or walnut, then sprinkle with coconut and stevia sweetened dark chocolate chips. You can even mix in a little chia seed and flax for extra crunch, then chill or freeze. This real-food treat is chewy and crunchy, guilt-free, and very satisfying. Better than a candy bar! Enjoy! There are two main types of dates available in the U.S.--deglet noor, and medjool. I use deglet noor dates in this recipe because their consistency is firmer. Slice the date lengthwise on one side. With a knife, slather a bit of almond butter inside. Set an almond or pecan in the almond butter. Top with coconut flakes. Chill or freeze.